Reverse Engineering is defined as the analysis of a device or object to determine its structure or function. Previous methods of doing this involved using various measuring devices to hand measure the part or parts and then recreating those dimensions in CAD. For simple parts, this works fine. But for complex surfaces, it is nearly impossible. How does 3D Scanning help? 3D scanning has made it possible to accomplish this task very quickly with high accuracy and affordability. The laser scanner captures thousands of measurements per second and creates what is called "point cloud" data. 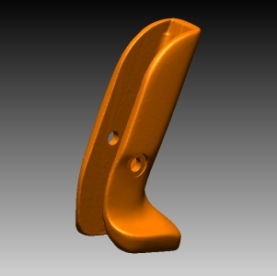 This data is then converted to a mesh model such as .STL that can be used in downstream applications. What can Reverse Engineering be used for?